To those interested in visiting, admission is FREE. 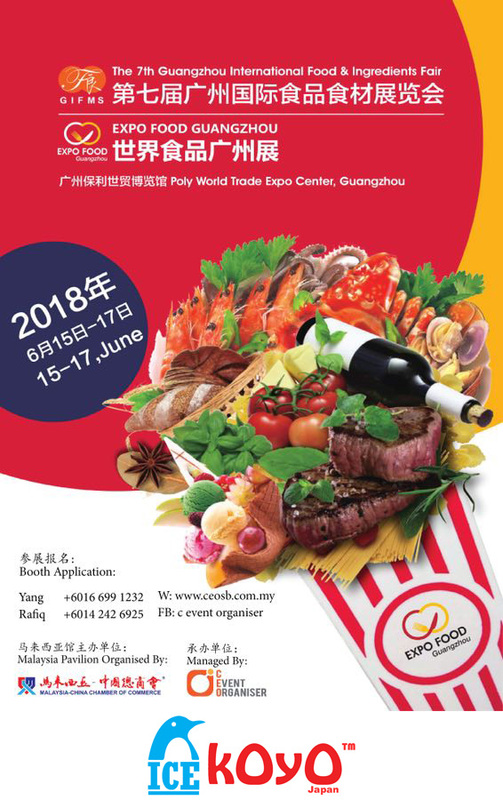 We will have a booth set up at the 7th Guangzhou International Food & Ingredients Fair, which takes place from 15th to 17th June 2018 at Poly World Trade Expo Center, Guangzhou, China. To those interested in visiting, please pre-register here. We will have a booth set up at the 19th Malaysian International Food & Beverage Trade Fair (MIFB), which takes place from 27th to 29th June 2018 at Kuala Lumpur Convention Centre, Malaysia.